End of the day and this is what I have to show for it! 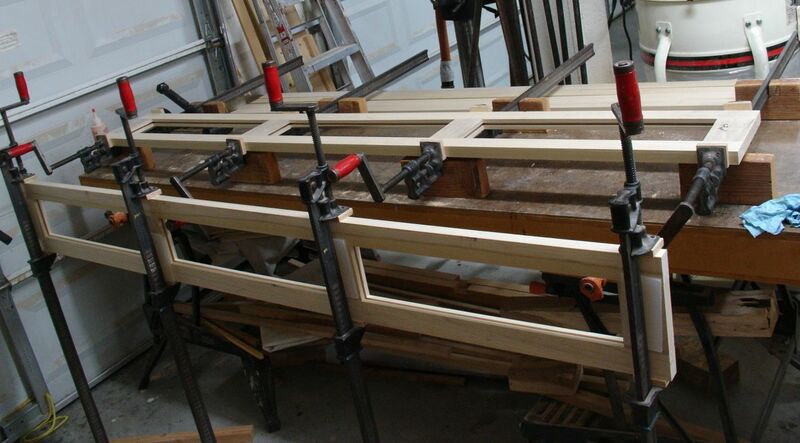 These will be the insides of the platform so there was no need to add the panels — just the frame for strength. In my teaching days the term “mass production unit” always had a bad connotation for me. Sure, I wanted my students to be able to transfer the skills learned in a junior high woodshop to the real world but thought it equally important that they develop their creativity and interests. Luckily I always had a principal that shared my beliefs and never incorporated the dreaded mass production unit into my curriculum. Mass Production, eh — Efficiency in Action! After setting a stop block on the fence and making a trial cut a pencil line is drawn to mark the location of the stop block (center picture). This gives you a visual reference so you can nudge the stop block one way or another to dial in the needed measurement. All that remained to complete this operation was some final fitting. 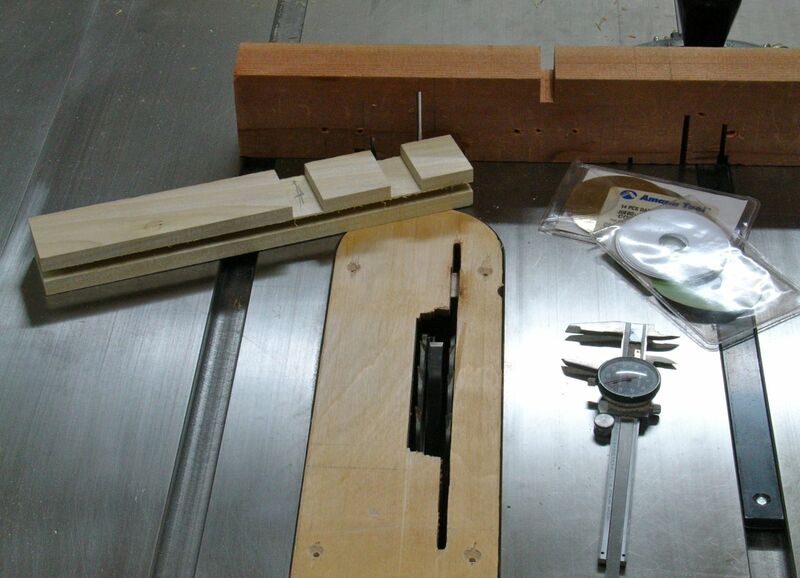 Whenever I machine joinery my preference is to leave the pieces slightly oversized. 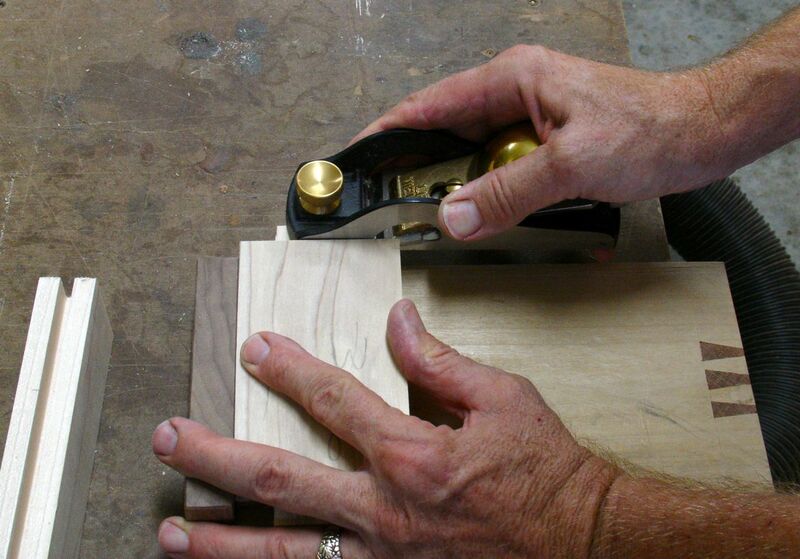 This is an excellent place to use a rabbet block plane which is my preferred tool for this operation. I can’t say enough about Lie-Nielsen’s version of this tool. The reason I prefer it over a shoulder plane is because it’s wider, shoulder planes are great for the shoulder but for the tenon cheek the block plane works better for me. I’ve managed to spray the panels this morning with a low sheen black. It’s made by Sherman Williams and is advertised as an all surface, latex enamel. Spraying and surface coating wood is not one of my strong suits yet but given enough personal projects to practice on I may be tempted to try it for a paying customer! This entry was posted in Uncategorized and tagged frame and panel, Lie-Nielsen Rabbet Block Plane, painted furniture, platform bed, queen size platform bed, tongue and groove. Bookmark the permalink.